The hiking boots are laced quickly - there is so much to discover in Selva Gardena! 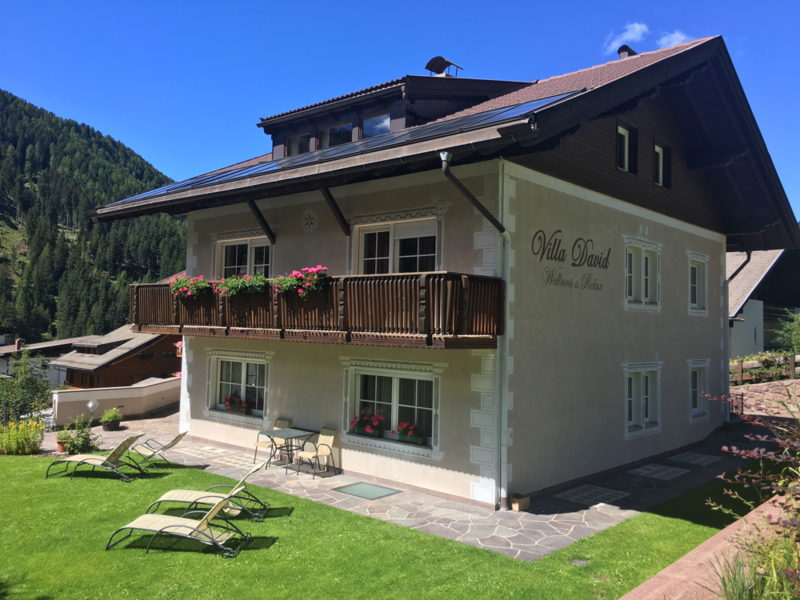 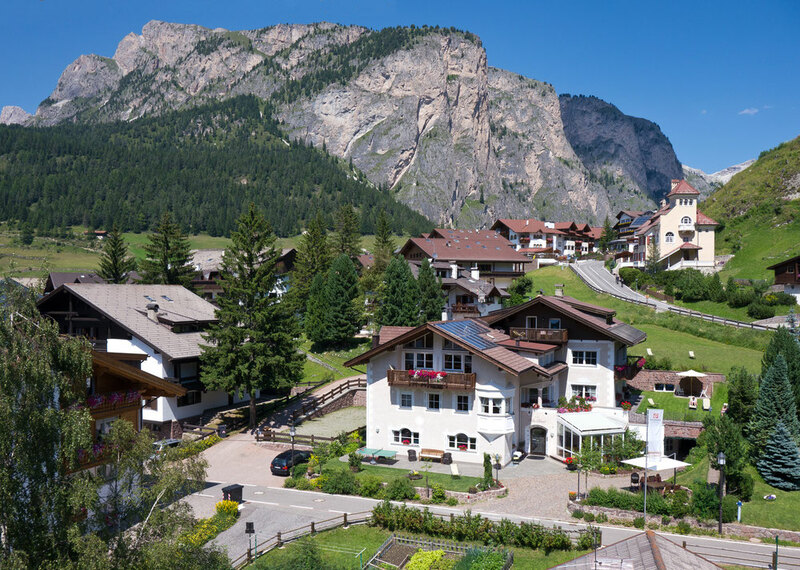 Comfortable walks in the valley or on a dreamy forest path, short trips to the picturesque mountain pastures and idyllic lakes, exciting tours to lodges and beautiful viewpoints or ambitious mountain climbing on magnificent peaks around a high alpine scenery. 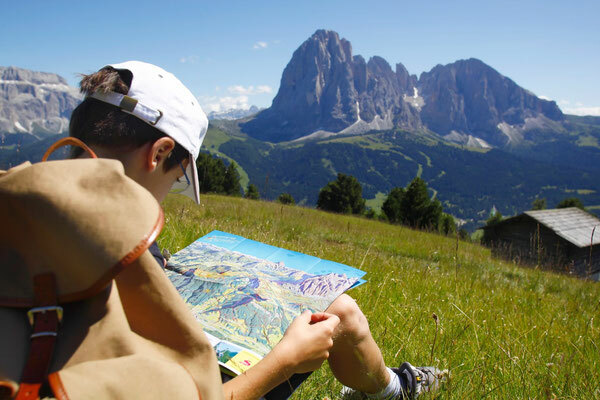 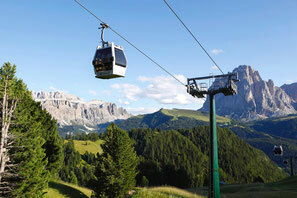 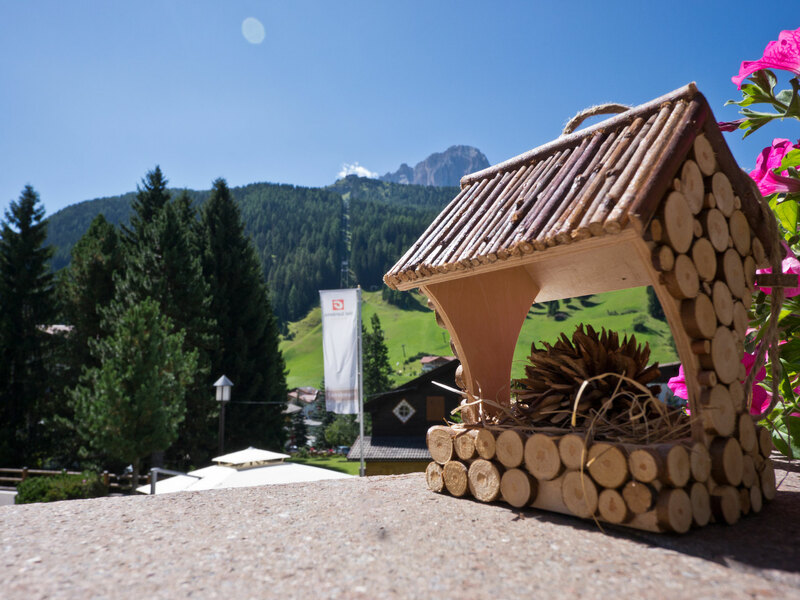 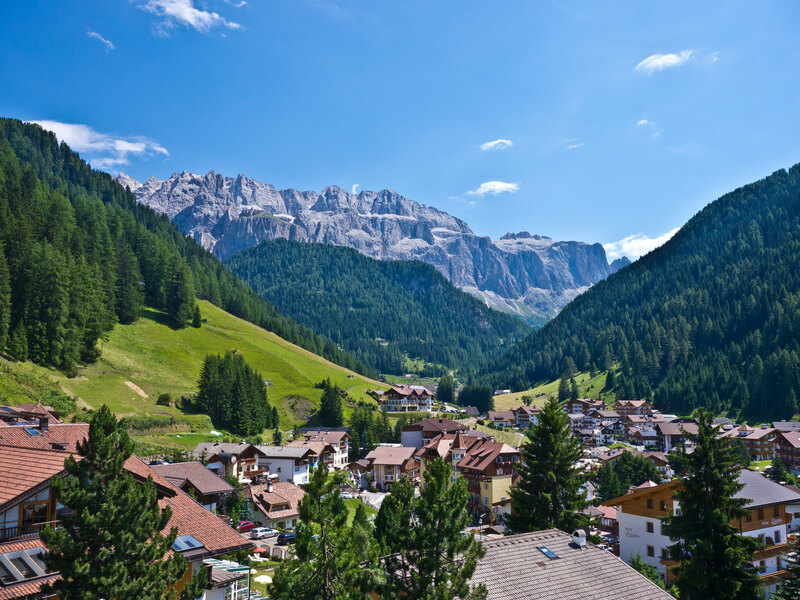 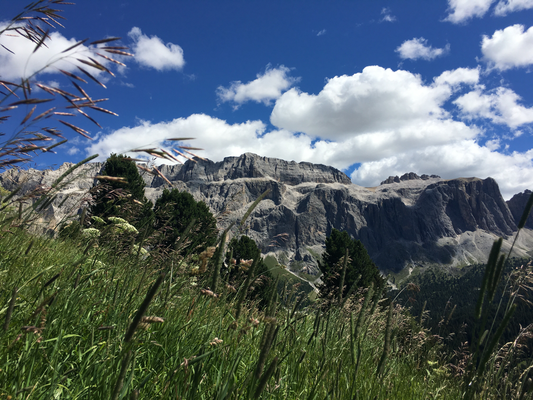 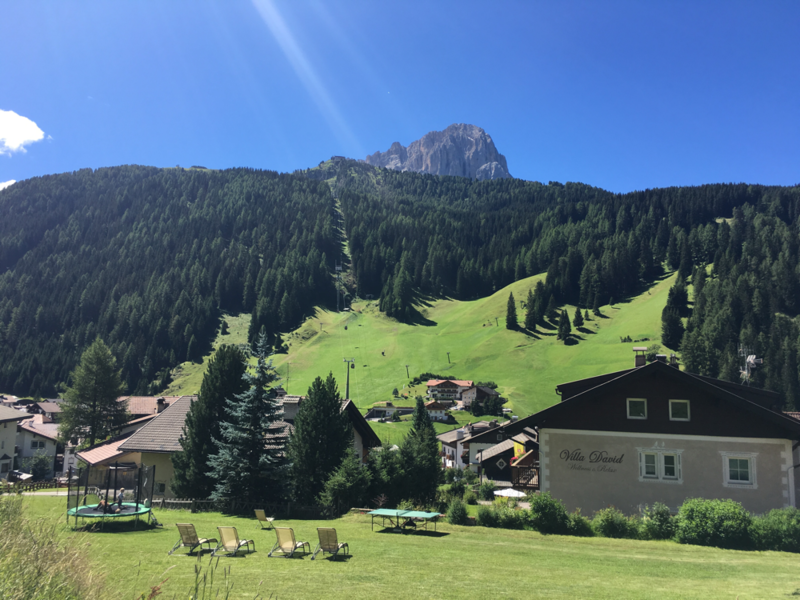 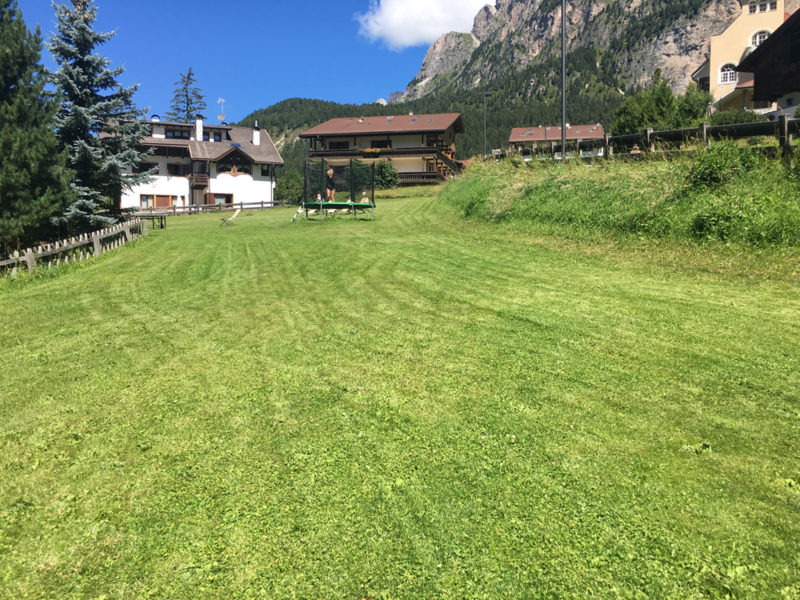 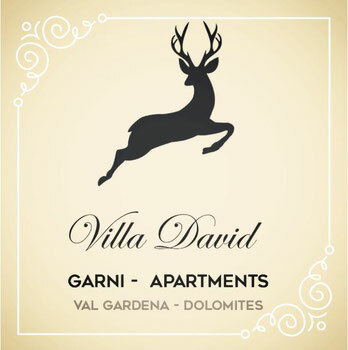 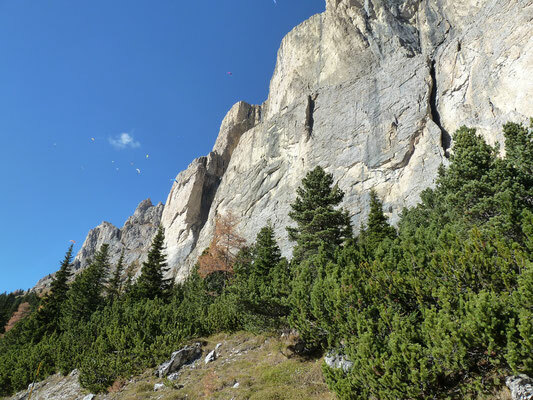 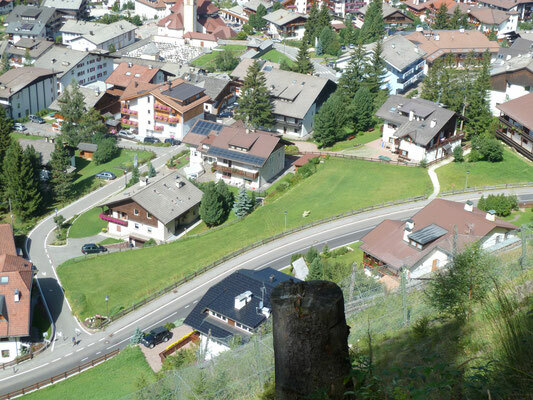 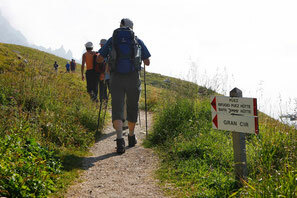 The hiking possibilities in Val Gardena are extremely varied and offer something for every taste. 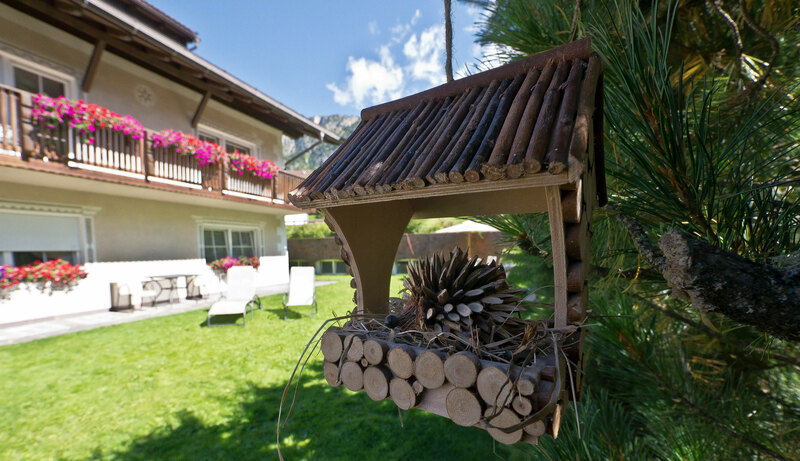 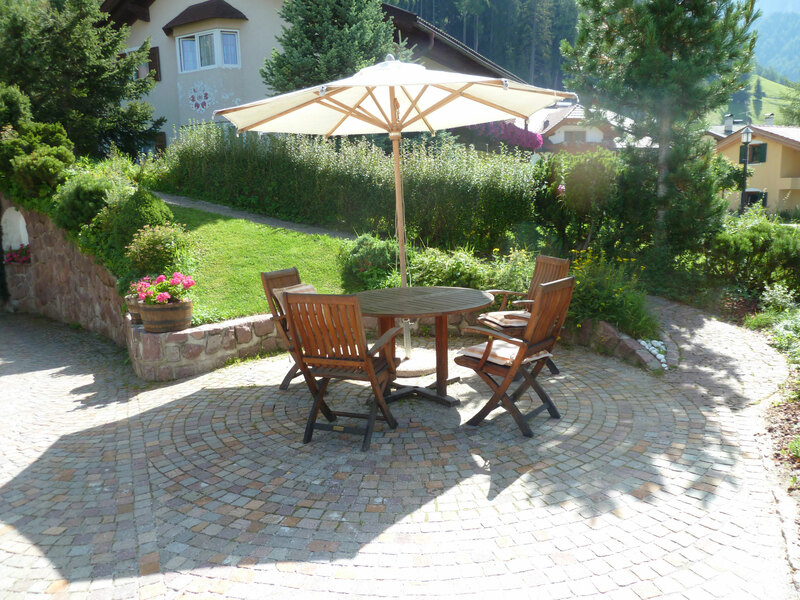 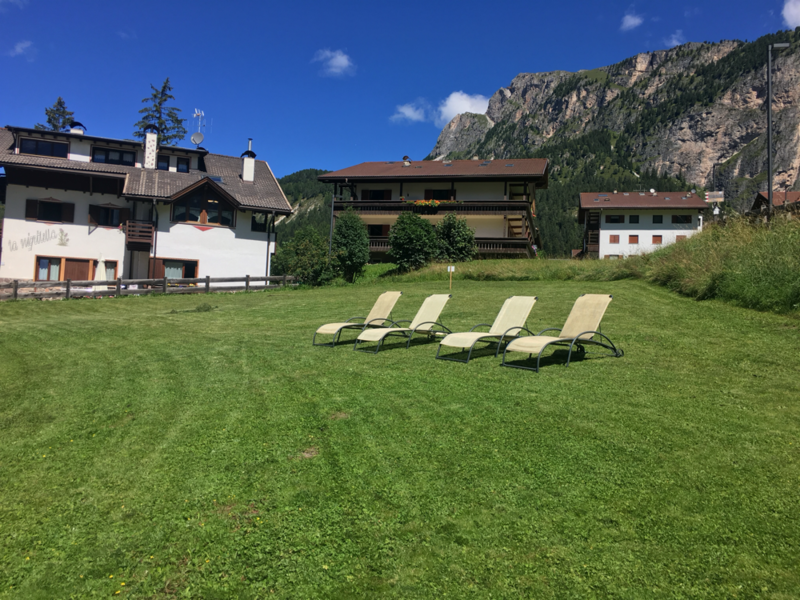 Whoever likes a cozy holiday, grabs a deck chair and enjoys the magnificent mountain scenery in our 1,500 m² house lawn. 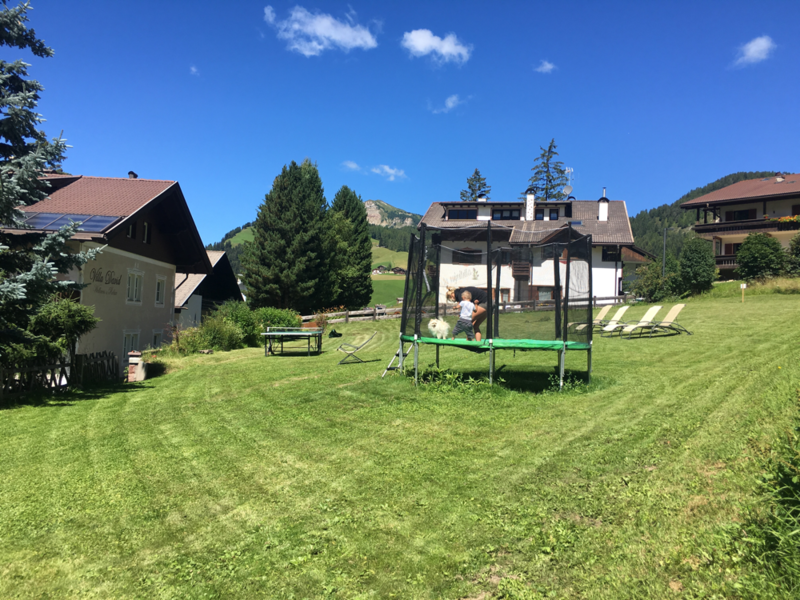 The children can play on the trampoline and table tennis, while the adults can discover the pleasant mountain air as a power source .